This walking trail was first prepared for Heritage Open Days. It starts and finishes at Hemyock Castle, passing some notable features. The complete trail, including three optional extensions, takes about 40 to 50 minutes. Note. This is presented for information only. The trail is on public roads, some without footpaths. Care is needed. We can take no responsibility for people who use this information. 17. 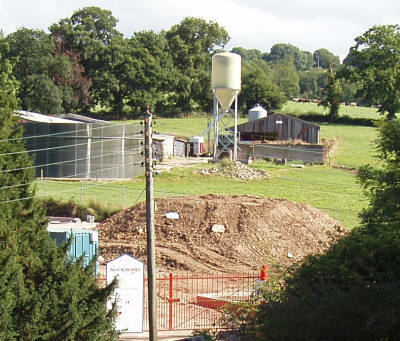 St Ivel Milk Factory (Site). 1. 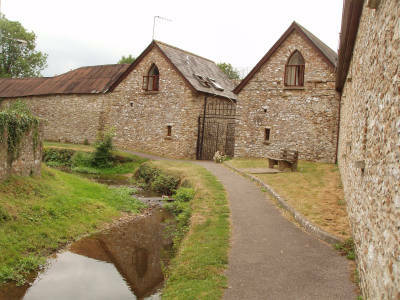 Start outside the Castle Guard Houses and walk south beside St. Margaret&apos;s Brook towards the road. 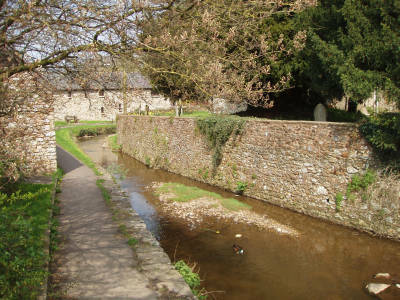 This stream which now separates Hemyock Castle from St. Mary&apos;s Church used to flow into the castle moat. Just occasionally, heavy rain on the hills turns St. Margaret&apos;s Brook into a torrent; water sometimes even rushes down Cornhill, past the Church, across Fore Street and on down Station Road. At the road, turn left for the main trail or right for the optional extension. Optional Extension 1: Parish Rooms and Passby. 2 and 3. Turn right, up Cornhill. 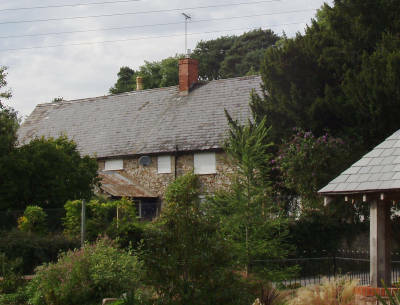 The old cottages used to have thatched roofs. 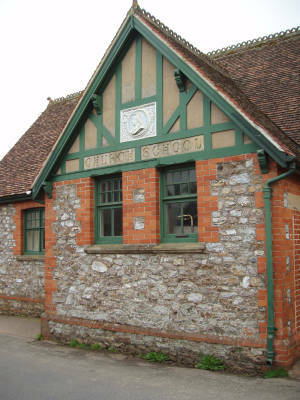 The flint and brick building on the left, dated 1891, was the Church School. 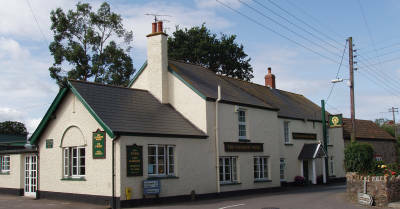 Now called the Parish Rooms, it is popular for clubs and meetings. 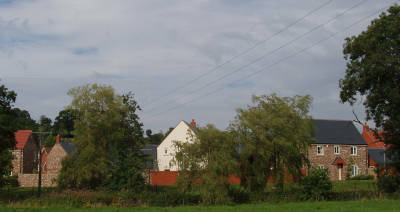 The modern new primary school is behind the cottages on the western side of the road. Continue up the road until it narrows where houses on the left constrict the road. This is "Passby," the guard post where, during times of tension, people approaching Hemyock Castle from the south would have had to give the correct password or sign before being allowed to proceed. There was an outer guard post at "Lydensign," about half a mile further up Castle Hill. The present Rectory is opposite Passby: The old rectory, now renamed "Regency House" is set in park land further up Castle Hill. Return the same way, down Cornhill. 4, 5, 6 and 7. The Cattle Markets were held on land behind the Catherine Wheel, where new houses have been built. Many of the horses and carts would have been left at the Castle – for a small fee! St. Mary&apos;s Church is very old but was greatly restored in Victorian times. Before that, it&apos;s reputed to have had steeple and/or a spire. Perhaps that&apos;s why its square tower looks rather short? 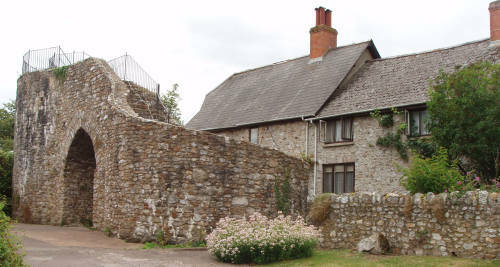 While Hemyock Castle was in serious use, no substantial high building would have been permitted so close to the castle. There was another inn called The Star where the Catherine Wheel now has its car park: The Star was thatched; It burnt down. 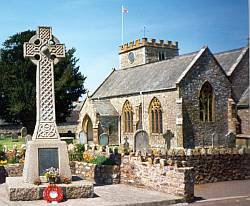 Hemyock&apos;s War Memorial is set in the wall of the churchyard. 8. The Ornate Village Pump was built to provide a clean water supply to the villagers; long before we all expected to have piped mains water in every house. Optional Extension 2: Methodist Chapel and Village Leat. 9 and 10. Turn right up High Street with its old cottages. 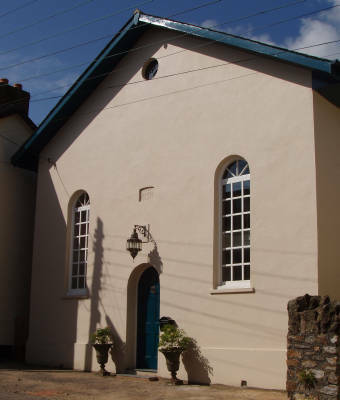 The former Wesleyan Chapel was built in 1838. 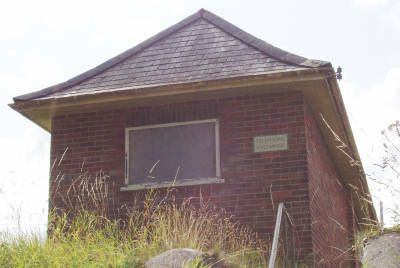 It is now a private house. 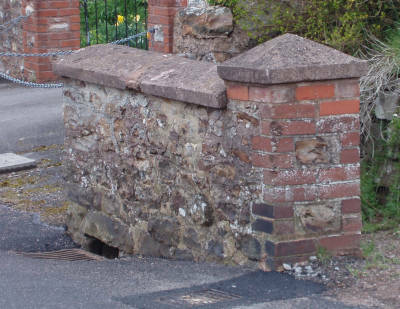 Further up High Street, a low wall protects the Village Leat. This provided a reliable water supply to the villagers. 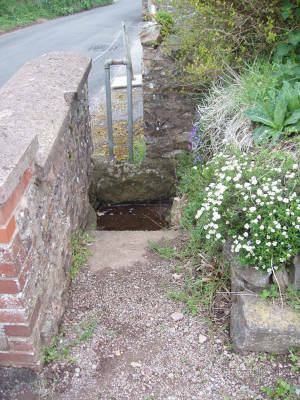 Water used to run in an open channel down the side of High Street: Each house had a little bridge to its front door. Another leat is visible on the east side of Station Road, opposite the entrance to the industrial estate. This water system is called the shutlake. It was regulated by sluices. 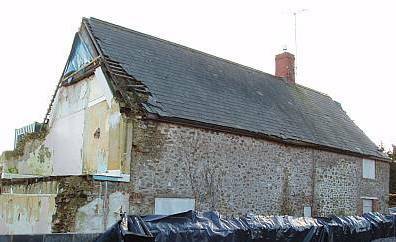 The Churchills Barn opposite, now a private house, was probably once used as a guard post, similar to Passby. 11 and 12. Continue east along Fore Street. Many of these houses used to be shops. 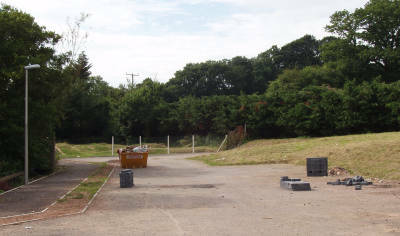 The car-park in on the site of old cob farm buildings. 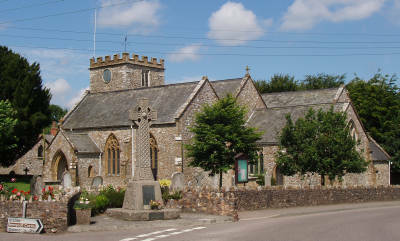 The Baptist Church is opposite Old School Court; formerly the village school, now sheltered housing. Optional Extension 3: Village Hall and old BT exchange. 13 and 14. 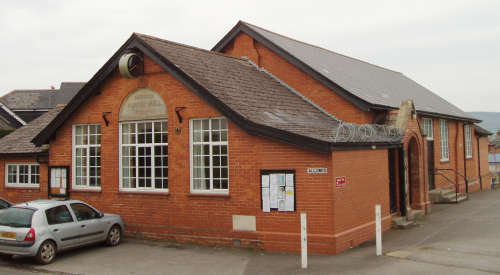 The Village Hall, dated 1927, has hosted many an enjoyable event. Further down Culmbridge Road, (be careful of the road traffic) the Old BT Exchange is perched high above the south bank of the road. The new BT exchange slightly further down Culmbridge Road serves a greatly expanded population and now provides Broadband Internet. 15, 16 and 17. Continue down Station Road. 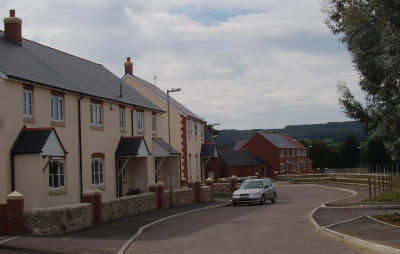 Many new houses have been built on both sides of the road; most recently, the Longmead development and new sports ground. The Roman Catholic Church and the former Doble&apos;s Garage have both been replaced by houses. 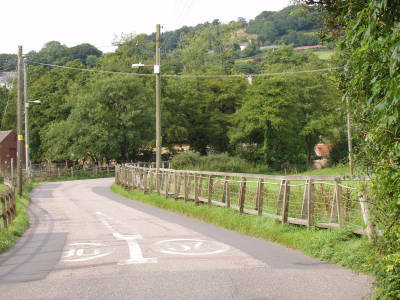 The raised wooden walkway near the Culm River was built so that people could cross the river even while the road was flooded here - a frequent event following heavy rain. 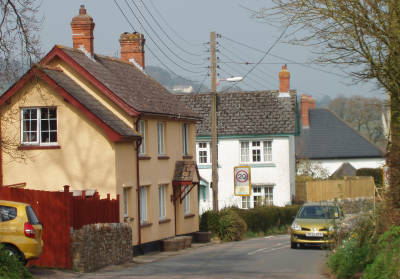 New houses have been built near the site of the Hemyock railway station, and in place of the old farmhouse - an ancient "Devon Long House" First it became a rather shorter house, then it was demolished completely and replaced by new houses. Opposite, the Millhayes housing development has replaced the St. Ivel Milk Factory. The Healthy Living Centre & Garages community centres are here. The mill was destroyed by fire. There was an unusual horizontal water-wheel. 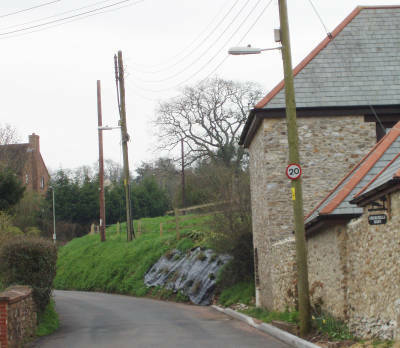 Recently, a new causeway & foot-bridge have been built over the Culm, to link these houses to the rest of Hemyock. 18. Finish this village trail by returning to the main Culmstock Road entrance of Hemyock Castle. 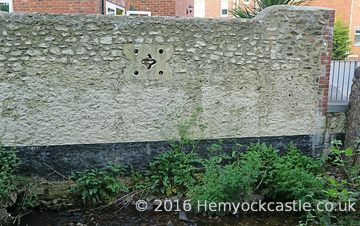 Just across the road, in the wall near the east side of the Culmstock Road bridge, notice what looks like the axle mount for a water-wheel. Could this water-wheel have been part of the reason why St Margaret&apos;s Brook was diverted from its former course through Hemyock Castle&apos;s moat, probably during the late 17th century? 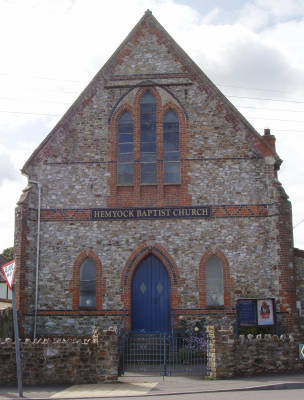 Even in the few years since this trail was first organized, the Methodist Chapel has become a house; The St Ivel Milk Factory, originally one of the first farmers&apos; co-operative creameries, has been demolished and replaced by the "Millhayes" housing; The "Valve Factory" on the site of Hemyock&apos;s Cattle Market has been replaced by housing; "Longmead" housing and sports ground have been built. 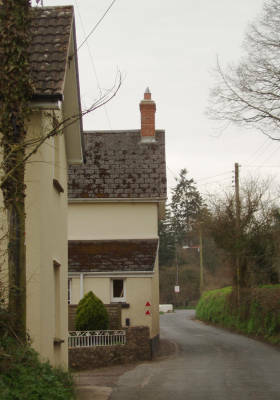 Houses have been built near Hemyock Station, replacing the adjacent "Devon Long-house." Other recent building includes the Community Land Trust (CLT) "Low-Cost" houses at Griffin Close on Culmstock Road. Recently, "Hemyock Motors" opposite the Castle, itself a former industrial site, possibly with a water-wheel; has been demolished and replaced by housing. 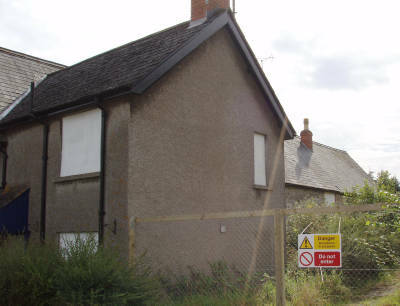 Now, after years of disuse, the old BT Telephone Exchange, high on the bank beside Culmbridge Road, has been converted into a cottage. Archaeological work at some of the new housing sites has produced interesting finds: At Churchill&apos;s Rise near Churchill&apos;s Barns, finds included an industrial scale medieval pottery works. The site of one new house near Hemyock Castle on Culmstock Road, contained what looked like siege works from the Civil War period – built by defenders or attackers? – and traces of a trackway leading towards what is now Parklands, possibly to the (now lost) rear entrance gatehouse of Hemyock Castle.